34th Annual End-of-the-Year Family Festival! E-mail or phone for details! Ms. Leilani receives the Musikgarten Exemplary Program certificate! 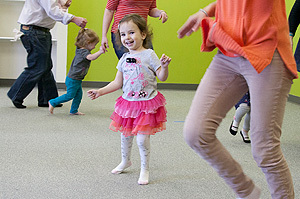 Musikgarten, a leader in early childhood music and movement education and group piano instruction, held its 16th annual Musikgarten Teacher Festival. Teachers from all over the United States and Canada participated in three days of music-making and seminars, covering topics from group piano teaching techniques to helping parents understand the importance of aural methods in music education. During the Festival a select number of teachers were recognized for their outstanding Musikgarten Studios. Leilani Miranda of The Music Garden in Houston TX was awarded the 2014 Musikgarten Exemplary Program Award. This award signifies that Leilani Miranda of The Music Garden offers a full complement of Musikgarten classes for children ages birth to 10 years. The Music Garden is one of only eighty-two programs in North America to receive this prestigious award for 2016. For more information on The Music Garden email musicgarden@sbcglobal.net or visit www.themusicgarden.org . 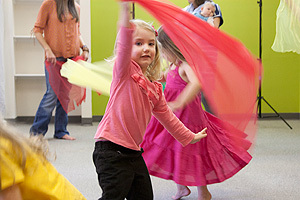 Musikgarten, a leader in early childhood music and movement education and group piano instruction, held its 15th annual Musikgarten Teacher Festival in Charlotte, SC. Teachers from all over the United States and Canada participated in three days of music-making and seminars, covering topics from group piano teaching techniques to helping parents understand the importance of aural methods in music education. During the Festival a select number of teachers were recognized for their outstanding Musikgarten Studios. Leilani Miranda of The Music Garden in Houston TX was awarded the 2013 Musikgarten Exemplary Program Award. This award signifies that Leilani Miranda of The Music Garden offers a full complement of Musikgarten classes for children ages birth to 10 years. The Music Garden is one of only eighty-two programs in North America to receive this prestigious award for 2013. For more information on The Music Garden email musicgarden@sbcglobal.net or visit www.themusicgarden.org . Congratulations! I am very pleased to notify you that you will receive the Musikgarten Exemplary Program certificate for your fine studio this spring. Each year Musikgarten celebrates teachers who are benefiting children and families in the ir communities through a breadth of Musikgarten curricula. 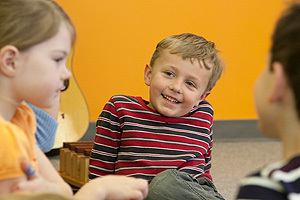 We salute you for your work and are happy to count you among Musikgarten’s outstanding programs. Thank you for being part of Musikgarten! Your work makes our program come to life for children and the ir families.